For the last few years I have been sure to read Dickens A Christmas Carol in the lead up to Christmas. It has become one of my own traditions and a story I have regularly enjoyed. So, when I was offered a copy of Mr Dickens and his Carol by Samantha Silva I jumped at the chance. This book is the imagining behind Dickens’s Christmas Carol. What led him to write it and where did all those well known characters have their origins? Charles Dickens is a man who has it all, but he also has a wife with expensive tastes, a father and a brother who are constantly borrowing money, and charities who are forever seeking his contributions. He is a naturally generous man, but at a time when he is struggling to write, he is impatient and fed up with them all. When his wife sweeps off to Scotland with his children he finds himself alone with a Christmas novel to write. He struggles with “writers block” and lack of inspiration and in his attempts to cure this finds himself back at the basic rooms he lived in as a single man. He journeys though the streets of London often in the dead of night meeting various characters along the way. He meets a mysterious woman who, with her son, begin to show him what Christmas really means. He is forced to face up to his past, his prejudices and mistakes, until finally inspiration strikes. This is one of my favorite quotes in the book, I love the image of the freedom in writing Dickens had which this passage conjures up. There is absolutely nothing bah humbug about this book. With such a pretty cover, it would look beautiful on any table or book shelf. The warmth of the story and the writing makes it perfect for curling up with on a cold winters evening. Losing yourself in the magic and “Christmassyness” of it all is a wonderful addition to any Christmas reading traditions, and may just have become one of mine. Samantha Silva is an author and screenwriter based in Idaho. MR. DICKENS AND HIS CAROL is her debut novel. 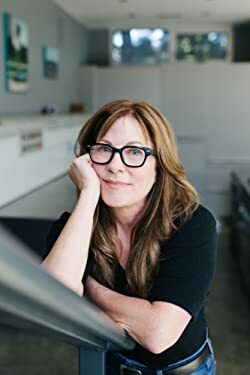 Over her career she’s sold film projects to Paramount, Universal, New Line Cinema and TNT. 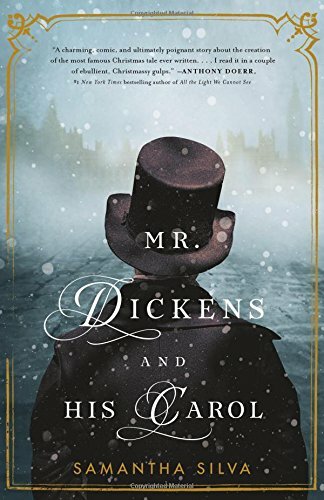 Tags: #WomenWriters, A Christmas Carol, Author, book review, Books, Charles Dickens, contemporary, Entertainment, FEATURED POST, Review, Samantha Silva, Women Writers. Bookmark the permalink.